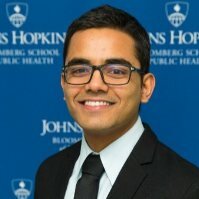 Sudip Bhandari is a PhD candidate in the Department of International Health at Johns Hopkins Bloomberg School of Public Health. His research experiences include qualitative and quantitative work as a Global Health Corps fellow at Harvard University, research scholar at the University of Minnesota, and as a graduate researcher at the University of Amsterdam. He is interested in health policy and systems research in low and middle-income countries. He received his Master’s degree in Conflict Resolution and Governance as a Rotary Global Grant Scholar from the University of Amsterdam in the Netherlands, and a Bachelor’s degree in Public Health from St. Olaf College in Minnesota, USA. He is from Kathmandu, Nepal.